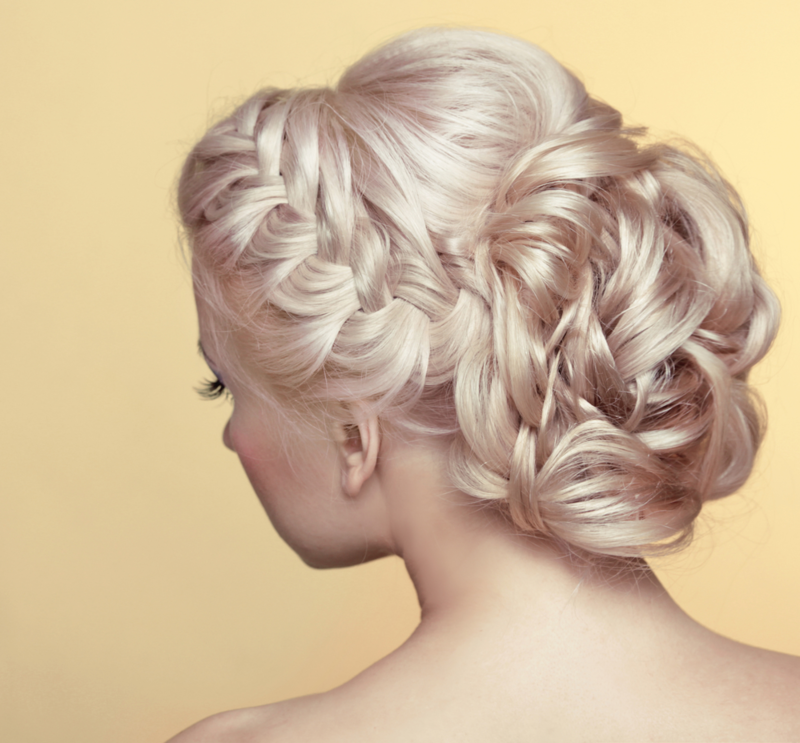 One of the most flexible hairstyles around is the updo. Whether you are at work, attending a wedding, or having a night out on the town, you can pull off either the professional, romantic, or fun look of an updo. Here’s some of the hottest updo’s of the season. Beach Waves. Many people recognize the soft beach waves that flow down the back. If you want your beach waves to turn into an updo, you can create a romantic partial updo by bringing up the sides and letting the rest flow free. If you want a more formal look, bring it all up to a full updo. French Twist. The French Twist is created by twisting the hair upward and securing it with a hair accessory or bling. This is a great flexible style to look professional at work or dress it up for the perfect hairstyle at a formal event. The Chignon. It sounds romantic and in fact, it can be quite a romantic look. Chignon, in French, means “bun”. However, it’s a special kind of bun that is worn low on the head. It can be worn loose or tight depending on the occasion and the look you want to achieve. It can be a great vintage style or worn as a romantic look for fall weddings. Braids. When in doubt, braids are a tried and true updo style that won’t disappoint. You can do braids in a variety of ways to get a different look for every occasion. Twisted braids, french braids, reverse french braids, and fishtails are all great braids to incorporate into an updo style. Vintage styles. For a unique look, a vintage style is the perfect way to get noticed. Think movie stars from the 40s with those unique curls such as finger waves and victory rolls. Vintage styles look great every day or as a unique style for a special occasion. If you have a fall wedding, holiday party, or work party to go to this season, give your stylist a heads up and they can help you achieve the perfect look for your special occasion. At TRU Salon + Spa we are ready to give help. Give us a call at one of our two locations - Branchburg, NJ (908) 218-9878 or Warren, NJ (908) 753-9878, book online. You can download the app for free from iTunes, Google Play, or Amazon.